Everything Winnipeg and Mathew Bowen, the president of the Manitoba Powerlifting Association (MPA) sat down last week with us and had a chance to talk about his journey as a powerlifter. Mathew also had the chance to present the winners of the the 2018 ‘Best Lifter Awards’. Check the Youtube video above for the full interview and presentation of the awards! 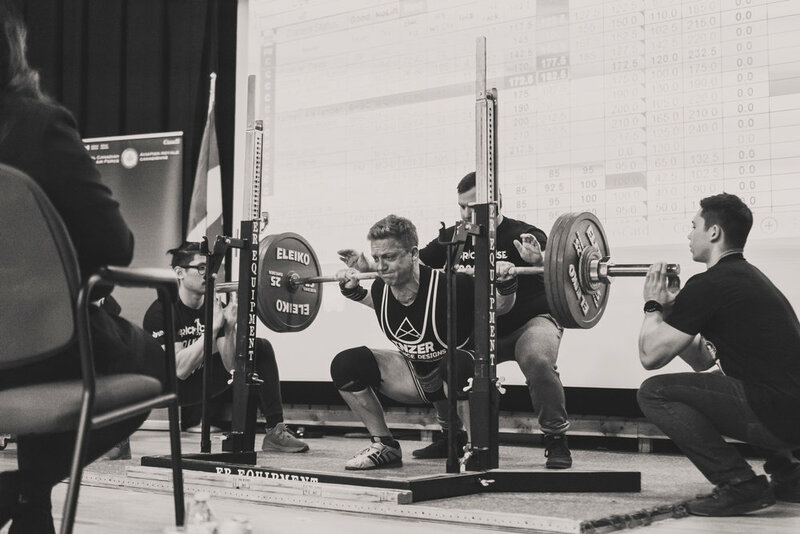 Everything Winnipeg teamed up with the Manitoba Powerlifting Association to capture the evening and showcase not just these two awe-inspiring strength athletes, but the sport of powerlifting in general and the ways in which it’s grown and continues to develop in Manitoba. The MPA is a non-profit entity “for all athletes in Manitoba – all ages, all genders, all sexes, all abilities,” President Mathew Bowen explained. Membership in the sport has been growing continuously and is currently around 150-160 members province-wide, with about 3000 members across the country. 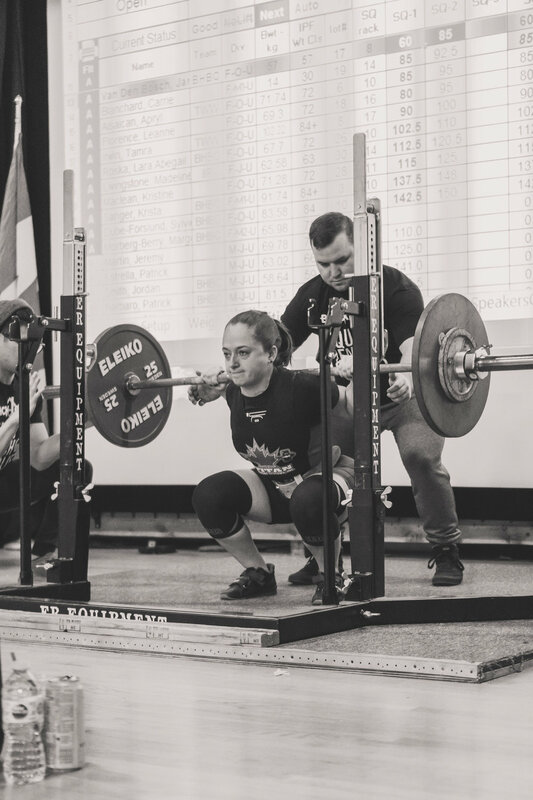 Bowen outlined how the Best Lifter awards are determined each year, saying “it’s all a little bit relative, but we look for who won the most, who had the most accomplishments, who was the strongest overall.” The 2018 Best Female Lifter was awarded to Hailey Kostyniuk, who not only came in first place in her class at the Canadian Powerlifting Union National Championships, but also took third place at the International Powerlifting Federation World Championships. The woman is a powerhouse. Having only started powerlifting in 2014, this 26-year-old has a mind-blowing 235kg squat (a little over 520lbs). Olimar Gutierrez, 2018’s Best Male Lifter, is just as impressive. After winning the MPA Provincial Championships, Gutierrez went on to win gold again at the CPU Western Championships, where he pulled a 260kg deadlift (a little over 573lbs). “He had the second highest wilks [a coefficient that can be used to measure the strength of a powerlifter against other powerlifters despite the different weights of the lifters] of all males this year and two big wins, so he’s the best lifter this year,” Bowen said. 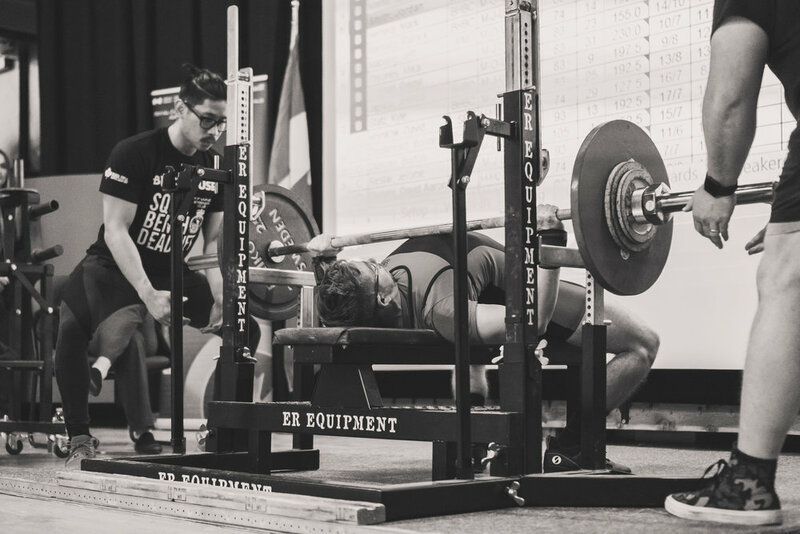 So, for those of you looking to build strength, join a new community, or test out your lifts, one of the best ways to get started is to experience a competition. This Saturday, February 2, 2019, Brickhouse Gym is hosting the 4th Annual Power Challenge, the province’s largest and most diverse competition to date. Not only are there 56 athletes competing, but those athletes run the gamut in terms of age, gender, and ability. With lifters as young as 15 and as old as 63, with three members of Special Olympics Manitoba’s powerlifting team competing, and with a healthy mix of both men and women hitting the platform, the sport truly does bring a unique and diverse collection of people together. Admission is $10, and the gym is taking charitable donations for the Anxiety Disorder Association of Manitoba at the door.